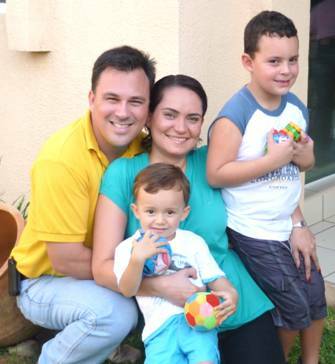 My name is Fernando, and with my wife Lorena are the proud parents of two beautiful boys, Adrian and Gabriel. Adrian’s history was published in the 2007 summer edition of the OAA newsletter. Well its been a while and a lot of water went under the bridge. We chose to have a second child, Gabriel. Making that decision was one of the hardest things. Lorena and I thought about it for quite a bit. A lot of things went thru our minds, and lots of what if… but finally we decided it was time, and what with all that we learned with Adrian will really make a difference. ​Gabriel was born January 21st 2008. It was a quite pregnancy. I took a lot of planning to receive the new member of our family. Here in Bolivia we don’t have all the resources to test for this disorders and the medical staff is not prepared to treat any complication also. So we have to do a lot of planning. We made the decision to have a C section first thing in the morning so we could have plenty of time to collect the samples and send them to Buenos Aires – Argentina in a DHL to have them tested. So I did. We collected blood samples from the cord, a 12 hour sample and a 48 hour sample and sent them to have them tested. Besides that everything was perfect. Gabriel came to this world at 6:50 am and weighed 3.350 gram and measured 50 cm. (7.4 lbs & 19.7 inches). He was healthy, pink and beautiful. We went home after 2 days at the hospital. The next Friday I received a mail from the doctor in Buenos Aires to contact him ASAP. That night he told us that the tests came back positive for 3MCC, as his brother Adrian. And the same night we started the treatment with 5 days old. We cried, a lot. But after that, we got back in the saddle and started our life again. 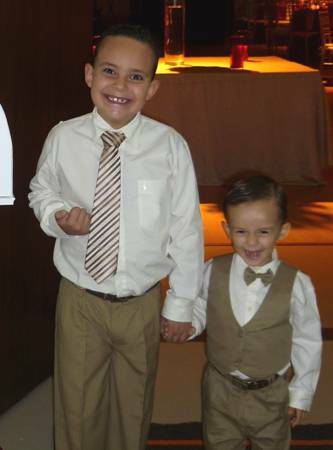 Gabriel developed very well, and started to achieve his milestones without difficulties. The only thing that shook our world was his cephalic perimeter; it was always on the top 5th percentile. So we went with an ultrasound and a tomography, and everything showed he was fine, no fluids in the head, just he had a big head. After that no trouble at all, well that is not true, because we have had the “usual” troubles you expect with a newborn, baby and later a toddler. Early treatment really made a difference. We struggled, and still do, with Adrian. But all the effort paid. He is finishing his first grade at school and is a good student. He gets 60 over 70, (85% of grade and I don’t know how to put them in A, B, C and D as you are used to). But all is done with a lot of effort, from us and especially from him. He still has troubles with his fine motor skills, and also with his gross motor ones too. But he is a little fighter. He has some difficulties but also has some remarkable gifts, just like everyone else. We are very thankful with a lot of people that helped us along this journey, our parents, our brother, the doctors, and a really special thanks to our OAA family for been there to help.